Quiet Title Lawsuits and the Mortgage Securitization argument. ← Forensic Mortgage Audits: Another Gimmick For Homeowners? By now, you have probably heard of the MERS system and mortgage backed securities. The MERS system was the system used to transfer, sell and “pool” millions of mortgages into mortgage backed securities during the mid to late 2000’s. 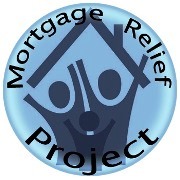 As the mortgage crisis began, facts emerged regarding the extent of the mortgage fraud committed during the late 2000’s. In response, attorneys began to question the validity and legality of the MERS system as well. The argument was simple; the MERS system was not sufficient to prove proper assignment documentation of the mortgage notes in question. And so, quiet title lawsuits and the mortgage securitization (MERS) argument was born. Under basic contract law, such assignment documents are necessary to prove the standing of the owner of the note. As codified in the FDCPA (Fair Debt Collection Practices Act), a consumer has the right to request verification of debt. Under either law, if the party attempting to collect the debt cannot show proof of debt, they can’t collect it. In the case of the MERS system, many banks relied on the system itself as evidence of ownership. Unfortunately, they did not bother to maintain assignment documentation that would be required for any other kind of debt. Consequently, their ownership was challenged in the highest courts. Ruling on these challenges, some state Supreme Courts concluded that the MERS system is sufficient evidence to prove assignment and legal standing. Most states have ruled that it is not. The Massachusetts Supreme Judicial Court was first to rule against the sufficiency of the MERS system. In stark contrast, states like California have basically barred attorneys from bringing quiet title lawsuits and the mortgage securitization (MERS) argument. In response to the rulings against the MERS system, some of the nation’s largest banks panicked. 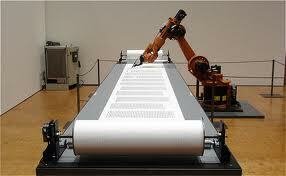 Fearing massive losses, they resorted to the widely publicized fraud campaign known as the “robo-signing” scandal. Huge operations were created to fabricate the millions of documents that were “missing”, and necessary for foreclosures. Fortunately for homeowners, the scandal was uncovered, and legislators and regulators were forced into action. In February of 2012, this scandal gave rise to 49 state Attorneys General reaching an agreement with some of the nation’s largest banks. This agreement is known as the National Mortgage Settlement. Some of the funds from the settlement found their way to affected homeowners. Perhaps more importantly, the settlement ended up laying the foundation for legislators across the country. It codified the principles enshrined in the Settlement into new laws giving homeowners greater rights. So, where does this leave quiet title lawsuits and the mortgage securitization (MERS) argument? Well, less than 1% of all quiet title lawsuits filed over the past few years have resulted in the homeowner being awarded the house free and clear. Understandably, it is a classic “too big to fail” situation, where judges are forced to make “policy decisions”. If judges ruled that lack of proper assignment documentation was sufficient to completely negate a mortgage debt, we would likely have legal chaos. Millions of homeowners would likely stop making their payments, and file lawsuits, to get their houses for free. Given this reality, most judges have ruled that such violations are “technical”. They point to the fact that living in the house is sufficient evidence that you intended to be bound by the mortgage. Accordingly, quiet title lawsuits and the mortgage securitization (MERS) argument has waned. However, when added to a lawsuit against a lender which includes other causes of action, it can add weight to the “totality” of the lawsuit. So,the argument can have a value. 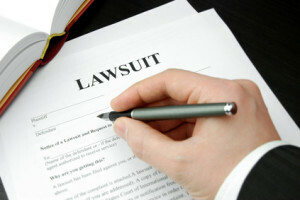 In cases involving wrongful foreclosure, FDCPA violations, egregious misapplication of payments, Homeowner Bill of Rights, or other legal violations, the merits of the “quiet title” arguments are typically given greater weight and, on rare occasions, result in a quiet title and the homeowner being awarded their house “free and clear” of any liens. The process necessary to determine the potential defendants in such a suit has other benefits. For example, determining the defendants in a quiet title lawsuit is easiest when you use a securitization audit. The Bloomberg “terminal” audits are believed to have records on 95% of the loans placed in the mortgage securitization process. This audit basically acts as a road map to determine the history and all involved parties for a particular mortgage note. That history often gives rise to other causes of action. Perhaps equally important, the audit reveals the performance of the mortgage backed security “pool” the loan resides in. In conclusion, homeowners should not expect to get their house free and clear of liens, based on “MERS” or “securitization” arguments as standalone causes of action. However, if other egregious causes of action are included in a lawsuit, the “quiet title” arguments can add to the totality of a case, and rarely result in such a ruling. 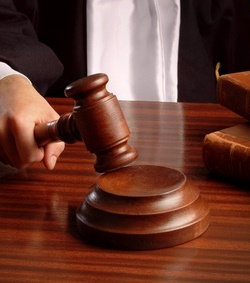 In any event, including these arguments as part of a greater lawsuit for wrongful foreclosure or any of the aforementioned causes of action can add to the “weight” of the case as a whole, and prove advantageous and useful for homeowners suing their lenders.